Gabbi has been volunteering weekly at Sight Concern since November 2017 and wanted to raise awareness for the charity by creating a fund-raising event. Gabbi and her husband Rich took on the challenge of a Snooker Marathon to raise funds. Both, Rich and Gabbi played for 12 hours each day, with the help of various challengers along the way, assisting them in their efforts to raise as much money as possible. 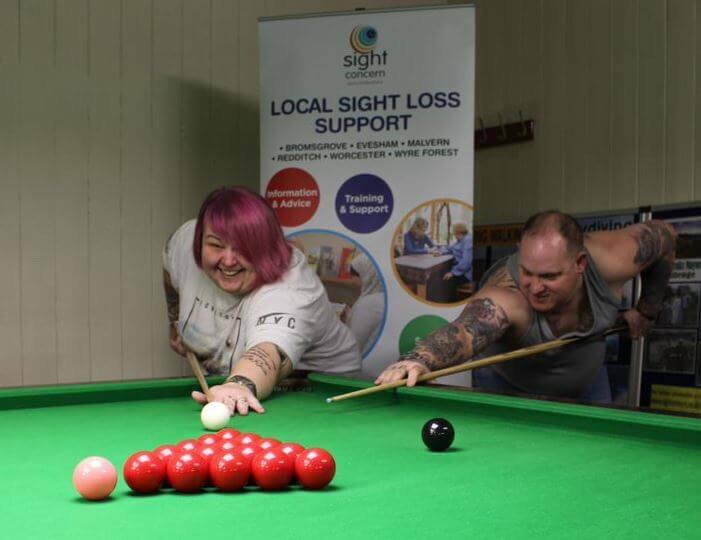 The Snooker Marathon took place over two days, Saturday 2nd and Sunday 3rd March 2019 from 8 am – 8 pm each day, to ensure that as many people as possible could support the event, as well as boosting their morale towards the end of the event when they were really starting to feel tired and lose focus.